Good news for those who love the Nobile 1942 Deluxe Collection! 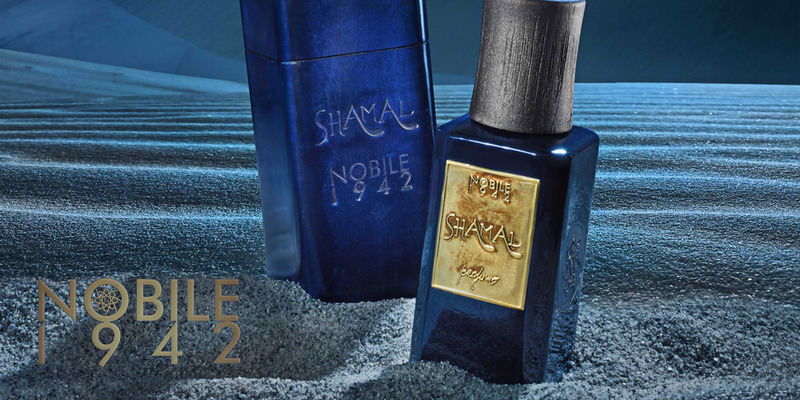 In addition to the fragrances RUDIS, MALIA and 1..1, a new perfume has recently been added, called SHAMAL. 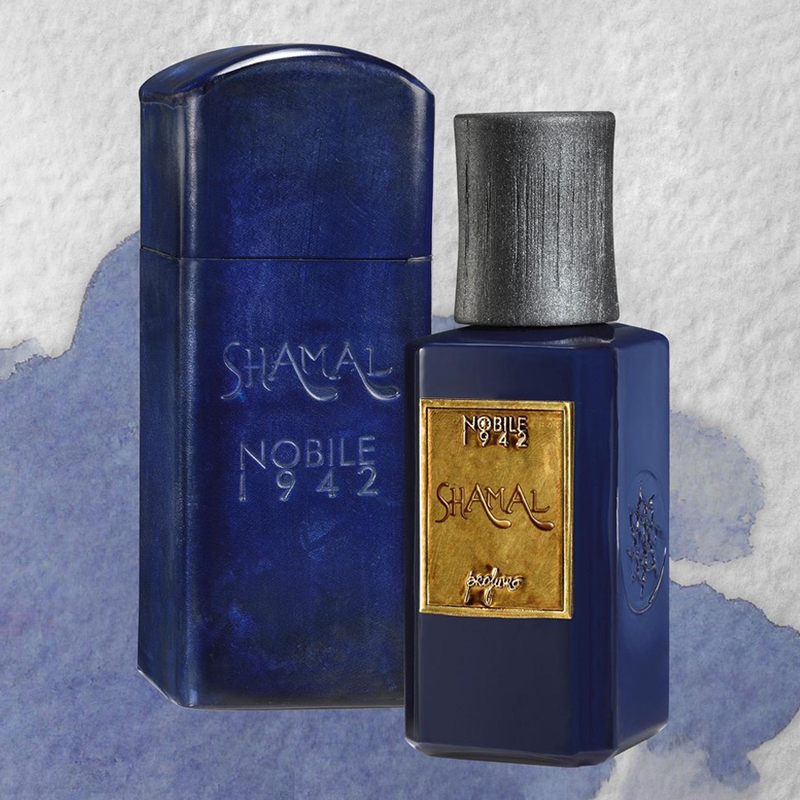 Just like the previous scents, SHAMAL is also packed in a handmade leather box. There is a moment in the desert that leaves spectators in total ecstasy. It happens when the day makes way for the night and the sky transforms, where shadows are perceived from black to blue and the stars fill the sky to keep the moon company. You have to admit – it is breathtaking. Unique and irresistible. The pearl fisherman lying on his back and enjoying his view of the starry sky, the stars form his clock. Pirates can attack at any time, stealing the slender boat, loaded with pearls and cloths, and stealing all its goods obtained with hard work. A dangerous undertaking to transport the goods from Oman to Yemen. The fisherman is lulled by the rippling of the waves, a sound that takes him back to his childhood, caressed by the trade wind that blows, the Shamal, the wind that relentlessly formed – for many years – the dunes in the deserts. While the Shamal blows, soft and incessant, and brings the smell of dates mixed with burning incense, the pearl fisherman is blessed and tastes some fruit while resisting that temptress, sleep. He decays to ‘daydream’. The images around his mind take him to far, far away, where nothing is earthly, and everything seems light and fleeting, relieving his body of the fatigue of the day and breathing new life into his mind. The pearl was formed when a drop of rain reached the bowl under the water and found its way in, turning the water from the sky into a beautiful jewel in the depths of the ocean.